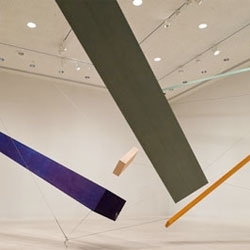 New Installation by Joel Shapiro at Rice Gallery in Houston. 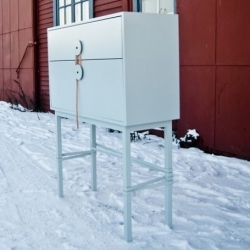 Street, a stackable storage unit composed of four parts: a frame and a house, high and low unit. Designed by A2. 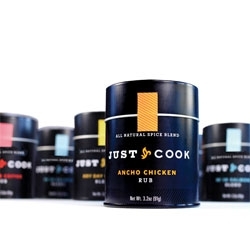 Just Cook, a unique line of premium spice blends in cute packaging by Strohl. 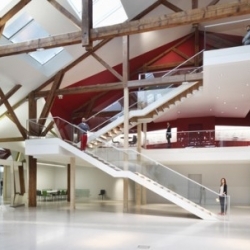 Take a look at the 'DomoLab' - a recently completed project for French architects Encore Heureux. Chatype, an interesting kickstarter project from Robbie de Villiers and Jeremy Dooley to create a typeface to rebrand the city of Chattanooga, Tennessee. 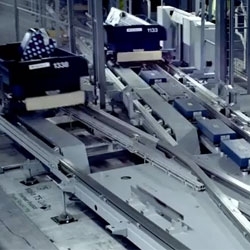 VIDEO'The Race', the latest Olympic themed ad campaign from British Airways featuring a race between luggage voiced over by sports presenter Jim Rosenthal. Great making of video too. 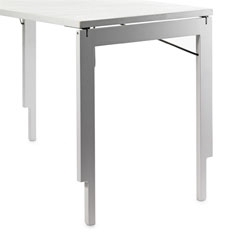 The Promenade Console Table by Eric Jourdan. 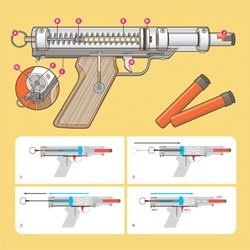 How to build yourself a better Nerf gun. 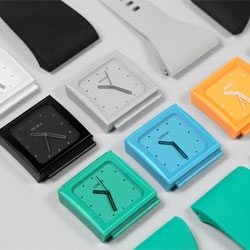 VIDEONooka's new Zub Zan 40 with inter-changeable straps for further customization. 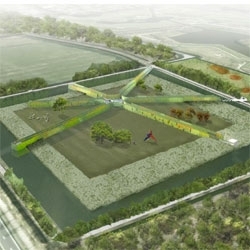 LOLA, Deltavormgroep and Piet Oudolf have won the commission to design the park extension of Groot Vijversburg. The expansion will create a star-shaped maze of hedges. 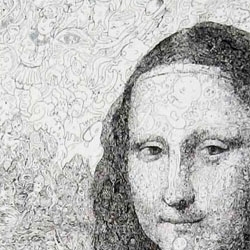 Sagaki Keita recreates classical masterpieces from a complex network of doodles. FEATUREDYogurt Hacking ~ Tuur Van Balen explains in this short 7 minute video how to trick bacteria into making a red yogurt full of beta-carotene... and prozac! 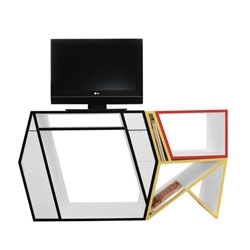 Sanjin Halilovic's DIS(ORDER) Furniture series work together like elegant tangrams. 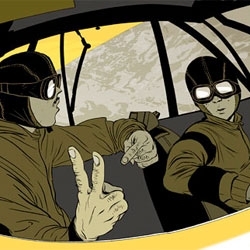 Gorgeous illustration by Frank Stockton. VIDEOMusic video for Cheerleader by St. Vincent. Annie is a giant sculpture. Directed by Hiro Murai. 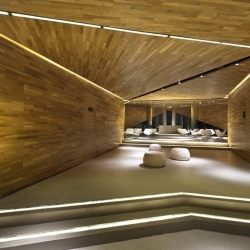 Chinese based architecture firm Ministry of Design has just put the final touches on an angular 750 square meter art gallery in Dong Jiang Bay. 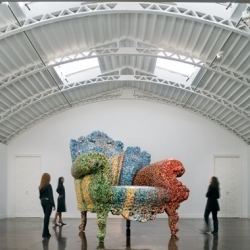 Italy's June design Showcase from Bisazza Foundation to house incredible italian works such as Alessandro Mendini's 'Poltrona di Proust Monumentale'. 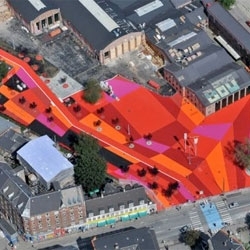 The Red Square in Superkilen – a multicultural area of Copenhagen – is the recently completed sports end (in hues of red) of the new park. 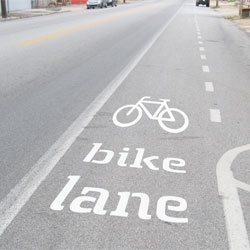 Designed by Superflex, Big, and Toptek1. 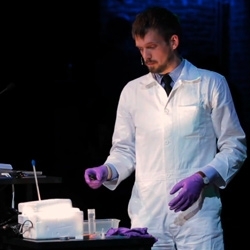 Glass Cast, a series of research trajectories manipulating glass through the investigation of two methods of working: hot glass blowing and warm glass slumping. Primarily created by Wes McGee and Catie Newell, Univ. of Michigan. 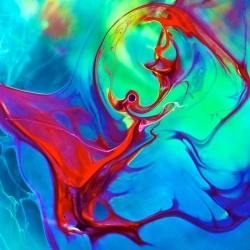 Photographs of brilliant colors made by ink, light, and glass by Pery Burge. 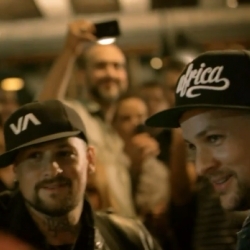 VIDEOJust another night at a Sydney pub, regular guy surprises girlfriend with the help of the Madden brothers from Good Charlotte to serenade her. Legendary stuff by Heineken. 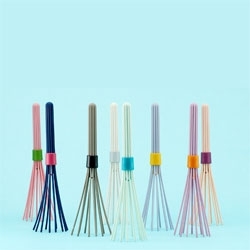 Beater, Ding3000's new foldable whisk designed for Normann Copenhagen. 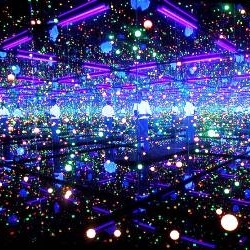 Yayoi Kusama's Infinity Mirror Room in London's Tate Modern. 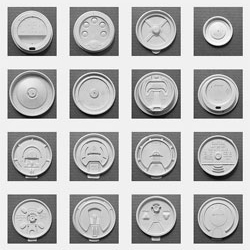 Pretty collection showing the variation in take out cup lids. Star Wars Episode VI - Return of the Jedi recreated entirely in Icons(Iconoscope), for your delight and amusement. 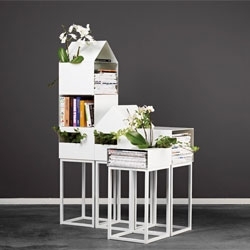 Think of it as how Ikea might retell the story. Si Scott's latest typographic wonderment. 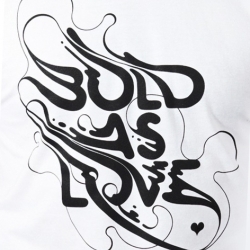 Bold As Love is designed for UK tee label Origin68 and is inspired by the Hendrix album of the same name. 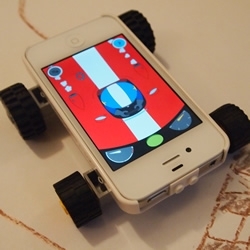 Makego turns your iPhone / iPod Touch into a toy vehicle. 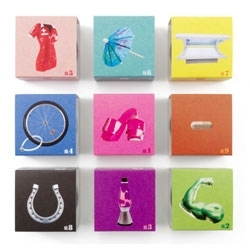 It encourages fun, open ended collaborative play between parent and child. Proud Design's packaging for Amsterdam's Tea Bar where customers can blend their own teas. 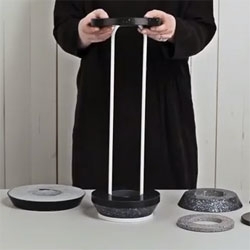 VIDEOForm Us with Love and Cosentino create vases from the quartz composite Silestone. 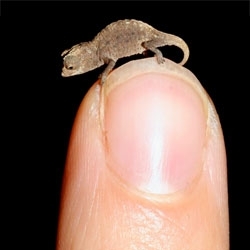 Brookesia micra, one of a four newly discovered chameleons, native to Madagascar, and thought to be the tiniest! 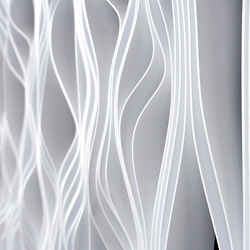 Synthetic Grain: a synthetic wall system inspired by natural from, by PROJECTiONE. 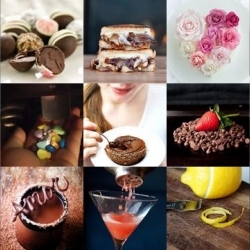 FEATUREDChocolate margaritas, Domo-Kun heart cookies, and a goat cheese burger are all part of this week’s roundup from Tasteologie and Liqurious. 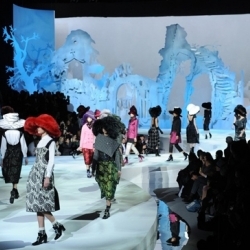 Marc Jacobs looks to friend and sculptor Rachel Feinstein who designed 'broken castle' for his Fall/Winter 2012 Show. 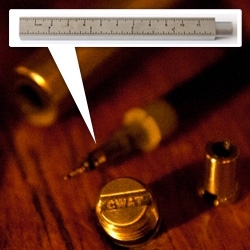 FEATUREDPen Type-A from CW&T is a brilliant pen with an awesome story. This steel beauty was a Kickstarter sensation and is a pleasure to write with. 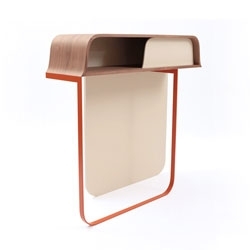 Swedish designer duo Elin Carlsten and Elisabet Thostrup have just launched these two rather industrial-looking furniture pieces. FEATUREDA Valentine's Day look inside the inspiring world of Wieden + Kennedy's NYC office... from fun murals to giant shoes to post it maps and sportscenter ads in the making... and a fun vday surprise! Sometimes, when two octopi love each other very much, they weave their bodies together and a very special heart is born. 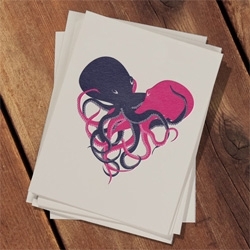 Awesome valentine's day octopus card design by Christina Piluso! 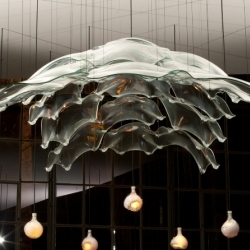 The beautiful 28 series by Omer Arbel for Canadian lighting company Bocci, has a new addition. 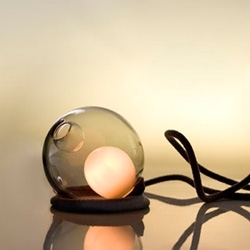 This amazing desk lamp with 'memory cord' is a playful twist on the 2010 design. 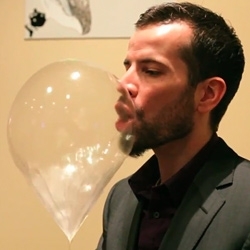 FEATUREDAlinea's Edible Balloon ~ A video introduction to a delicious dessert that's lighter than air! 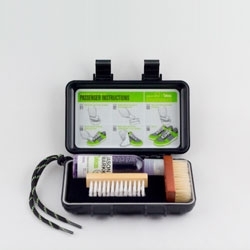 Jason Markk and DJ Vice's Jet Set Kit, a compact shoe cleaning kit. 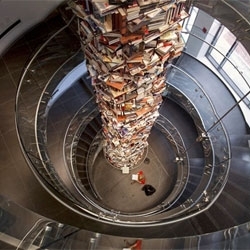 A 34-foot pillar of 15,000 books about Abraham Lincoln to be on display at Ford's Theatre Center for Education and Leadership. 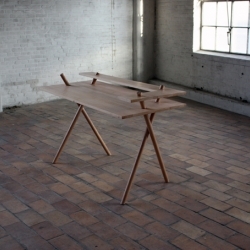 Ballerina Folding Table by Åke Axelson for Gärsnäs. 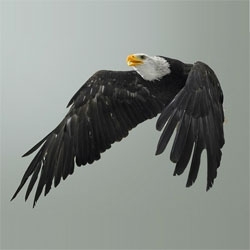 Stunning series of Birds of Prey photos by Martin Klimas. 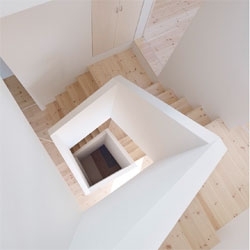 Gorgeous staircase in the stunning House in Aoto by High Land Design. 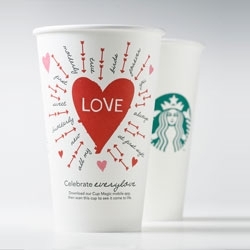 Starbucks' Valentine's day cups, part of a Valentines Day campaign from Starbucks Global Creative and global digital marketing team. 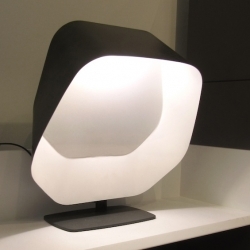 'Olive' and 'Peye' lights by Numero111. 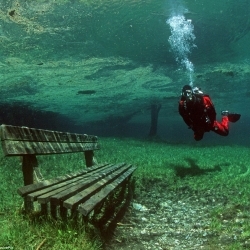 This park in Austria turns into an underwater park every Summer, and back to dry land in Winter! An amazing natural phenomena indeed.